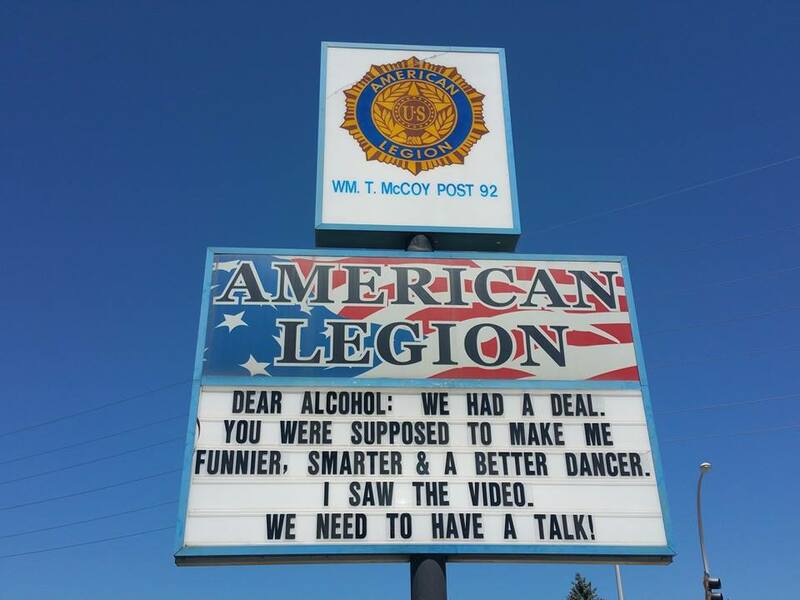 A sign at an American Legion in Rochester, Minn., is becoming must-see gawking. For three years the sign has preached the things that we drivers are supposed to already know. It’s the work of Tony Loecher, the Rochester Post-Bulletin says. It started, he says, because some people in the area complained that the sign never changed; it always said something about bingo. The Legion has had dwindling membership as its members fade away and he thought it might be a way to pep things up a bit. “I couldn’t have asked for a better thing to happen on the first night,” he said.